I have been writing about the United Nations Forum on Business and Human Rights. (see here, here, here, here, here, here, here and here). The Forum has been an important site for the meeting of key international stakeholders who tend to control the discussion about business and human rights in the international sphere. If for no other reason, that is reason enough for sustained attention to its proceedings (see, e.g., here). 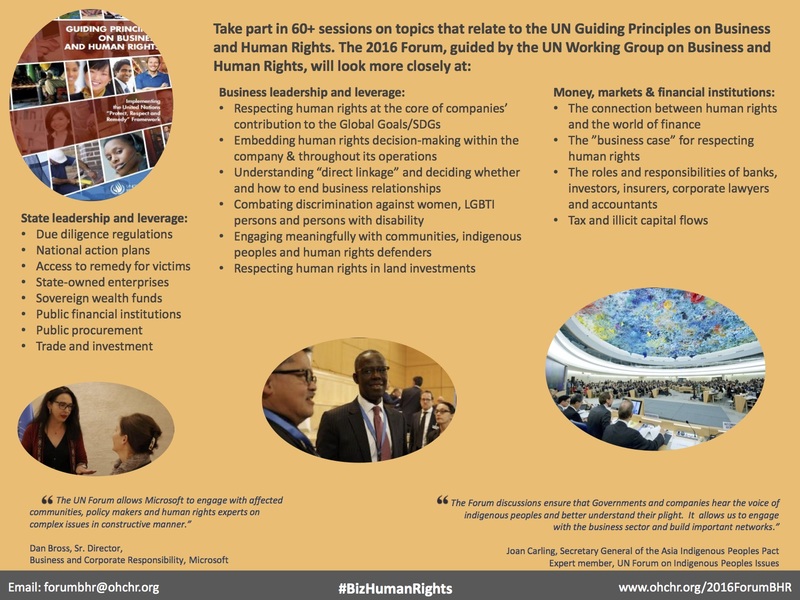 The Secretariat of the Forum on Business and Human Rights has recently announced the opening of registration for the 2016 United Nations Forum on Business and Human Rights. 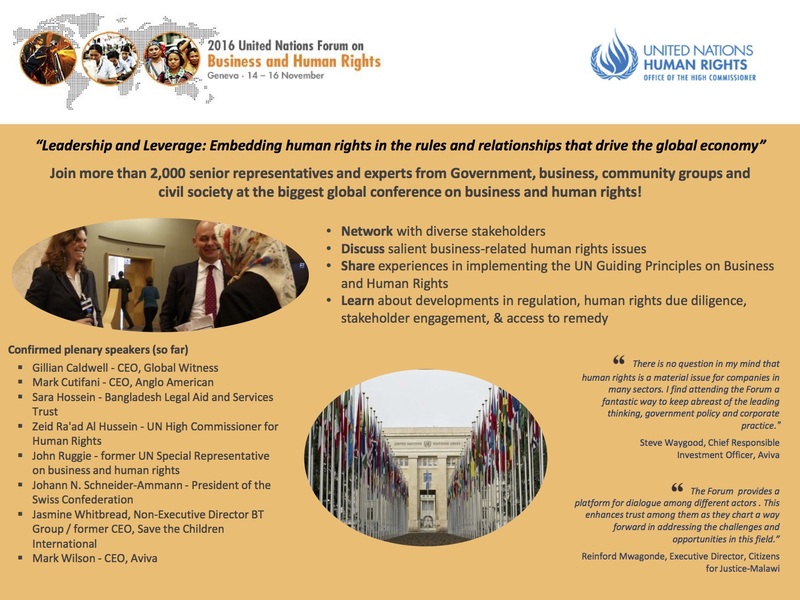 As per Human Rights Council resolution 17/4, the Forum is open to all relevant stakeholder groups, including States, the wider United Nations system, intergovernmental and regional organisations, businesses, labour unions, national human rights institutions, non-governmental organizations, and affected stakeholders, among others.